This Banana Muffin Smoothie tastes like eating a loaf of fresh banana bread…through a straw. My love for banana bread is well-established. You see, banana bread was one of my mother’s specialties, and I could almost always count on finding a loaf of banana bread hanging out in the kitchen. Lightly toasted with a bit of butter…oh yeah, now that’s something special right there! Mom would occasionally mix it up and make the bread in muffin form, and that was equally delicious when toasted with butter. I still make that same exact banana bread, and there is almost always a loaf of it hanging out in our freezer…just in case I get a sudden banana bread craving. Trust me…it happens! But seeing as how it’s hot outside, I decided to go a whole different direction with the banana bread this time. I decided to turn it into a smoothie. That’s right. 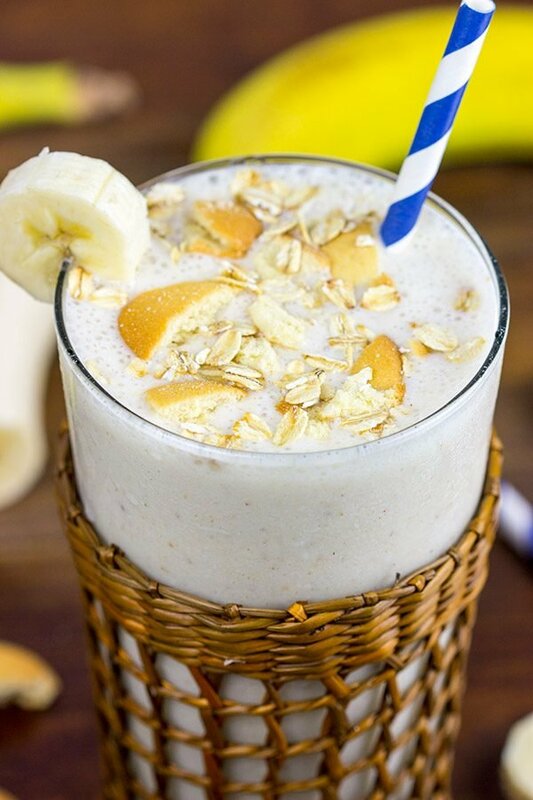 A Banana Muffin Smoothie. It’s like eating a loaf of fresh banana bread…through a straw. As I was making this smoothie, I was seriously wondering why we don’t make more smoothies. They’re crazy easy, and they’re crazy delicious. (Maybe I’m just lazy and don’t want to wash the blender each morning?) Every summer, we make a trip down to Maryland to visit Laura’s family, and we always make smoothies for that road trip. It’s kinda like our summer road trip tradition. Whenever we hit the road, we like to get an early start. I’m not one to sit around half the morning when I know I’ve got a 6-7 hour drive ahead of me. Nope, just roll out of bed, shower and climb into the car. But that’s where the road trip smoothie comes in. It’s the perfect way to enjoy breakfast on the go. Plus, we like to add extra ice to make that smoothie super thick…that way it lasts for a solid hour or more while we’re out on the road. I added some oats into this Banana Muffin Smoothie to bulk it up a bit. But not just any oats. I took a couple of extra minutes to toast the oats, and that adds really a nice depth of flavor to the smoothie. Add in some vanilla extract and a dash of cinnamon, and you’ve got one heck of a delicious smoothie. 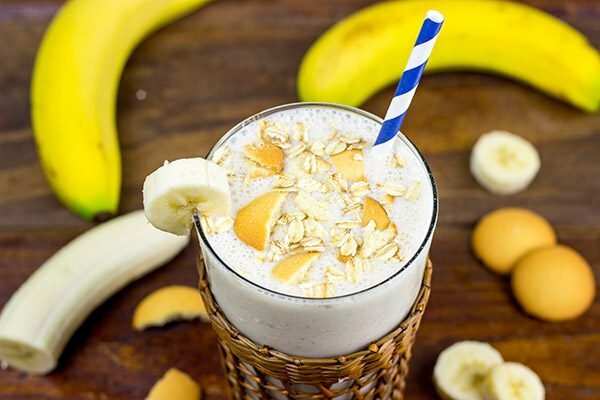 Whether you’re sitting at home, at your desk or in your car on the open road, this Banana Muffin Smoothie is a great way to start a warm summer day. Cheers! Spread oats on a small baking sheet. Toast at 300°F for 6-8 minutes, or until you can smell the toasted oats. 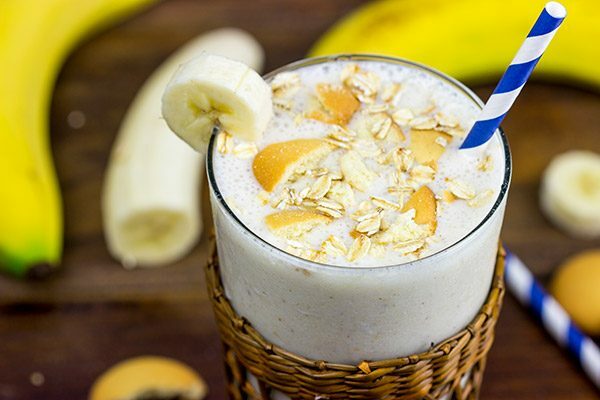 Place toasted oats, bananas, yogurt, milk, vanilla extract, cinnamon and ice cubes in a blender. Blend until smooth. Garnish with crumbled vanilla wafers before serving. Hi David! How about this AND a slice of banana bread! Sounds good to me! Have a great weekend! PS Still eating peach coffee cake! 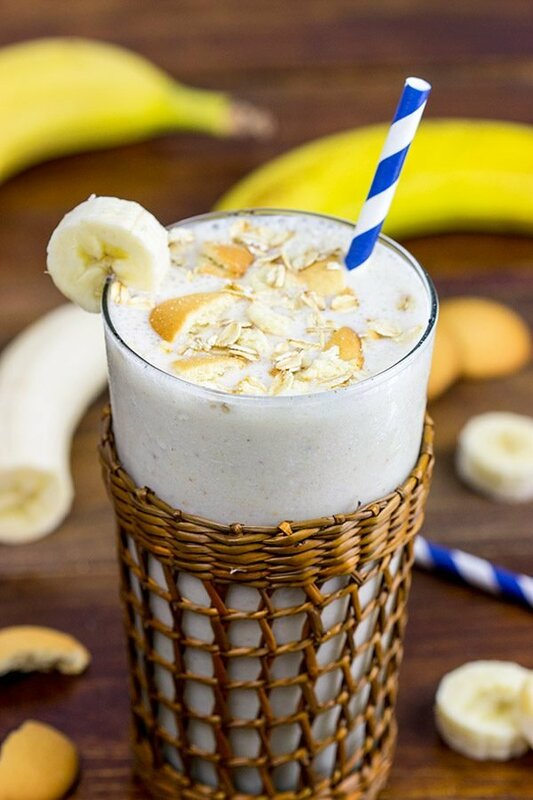 This Banana Muffin Smoothie sounds and looks fantastic, David! I’ve got one question though. Why Muffin? Why not Banana Bread Smoothie? Does it exsist indeed? 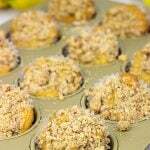 If yes, how could we distinguish between Banana muffin and Banana bread smoothies? Is there any difference? Are you biast against Banana bread smoothie? I guess it’s a little more than one question – I’m in a nerdy kind of mood today haha:) I love adding oats into smoothies (My favorite combo is with peanut butter), and now it’s time to try Banana bread…I mean muffin smoothie:) Love the idea of toasting oats too. Well done! this sounds fantastic! 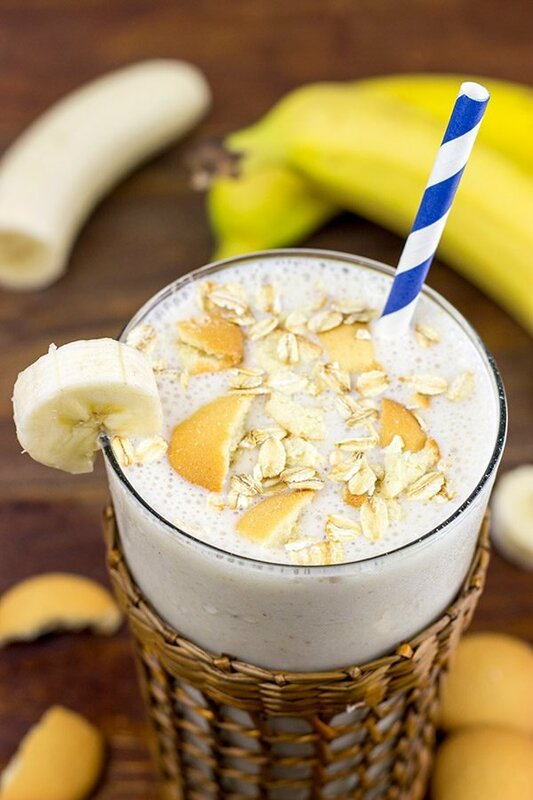 what a great idea to make banana bread smoothie, yum! 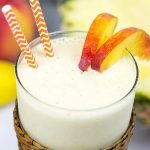 and I am just like you, I don’t make enough smoothies and even if I make them, they never make it to the blog! That clearly needs to change. I’m with you… Lightly toasted with a bit of butter! Then I’d drop it in the blender with your ingredients here (sans the wafers) and BAM! Haha…that sounds like a waste of a perfectly good piece of banana bread, Kevin! How about that lightly toasted + butter and then served WITH the smoothie? It’d be like a double banana bread feature! Yes! And toasting the oats for a few minutes before putting them into the smoothie adds a whole new layer of flavor, Medha. Give it a shot sometime! This does sound delicious. Super easy and super quick! You just can’t go wrong with that combination! That’s exactly what this is! All of the delicious flavors of banana bread…just in liquid form. 🙂 Thanks so much, Miriam…I hope you had an awesome weekend! For those mornings where I can’t decide if I want some kind of baked goods or a smoothie, I shall be making this! Smoothies are totally our thing at the moment, and if it tastes like dessert then that is even better. 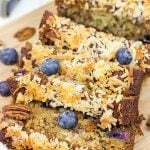 I totally agree with you that banana bread is where it’s at! Ooo…good call on the individual blender cup. I might need to invest in one of those. Washing the whole blender isn’t that bad, but it’s kindof a pain. Thanks, Nicole! Dude, I’m totally loving this recipe- A muffin like texture in smoothie form?! I love the addition of oats, they give such an epic texture! I like the idea of using toasted oats rather than untoasted, I bet it gives a great flavour! Toasting those oats totally adds a deeper level of flavor…and it only takes a couple of minutes. Do it! 🙂 Thanks, Caroline!